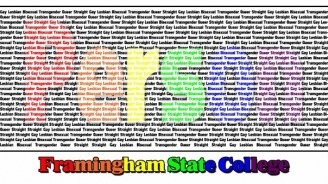 Each year, 10% orders a number of t-shirts for distribution to FSC students. 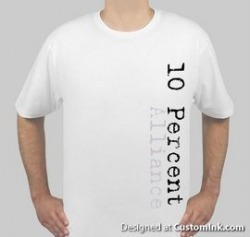 All shirts are free of charge and are available to all students, whether they are active members of 10% or not. 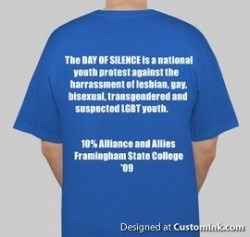 Some of our greatest supporters are those who might not come to meetings, but wear our shirts with pride.This year will be 10% Alliance's sixth year to participate in the National Day of Silence and our sixth year ordering t-shirts to be worn on the day. Wearing t-shirts on the Day of Silence allows participants to actively show their participation while remaining silent, and has a profound impact on the FSC community by flooding the campus with a shared color which stands out. The t-shirts represent the unity involved in the cause and truly exemplify the support which exists on campus. 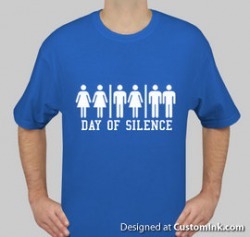 Last April, for the 2009 Day of Silence, all of our 350 t-shirts were distributed within just a few hours, with still more people wanting to sign up. Other shirts have been printed over the last few years to promote 10% and our mission to spread awareness and visibility on campus. As a group, we have chosen shirts and slogans that represent the group's ideas or message, usually in a playful or colorful way in order to be more effective when worn. 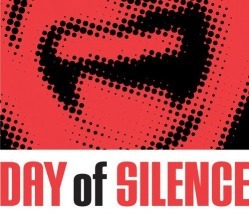 It's important for us, as a group and as individuals, to be visible in order to make an impact on campus and off.For more information on the Day of Silence please visit Dayofsilence.org.